City life can be fast-paced and exciting. The buzz, chaos, crowds and parties – there’s always somewhere to be, a taxi to catch, or an event to attend. But have you ever stopped to think about what the hustle and bustle of city life is doing to your skin? 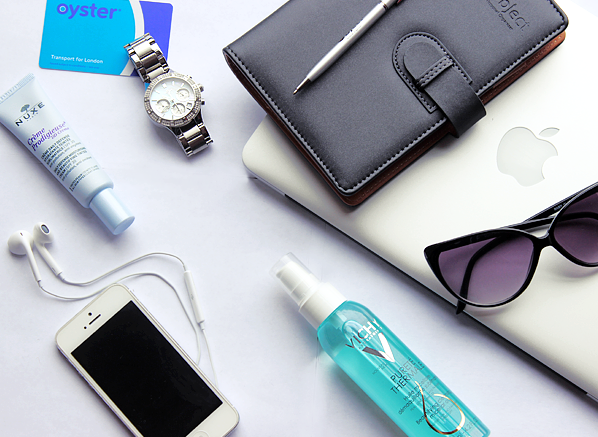 Whether you’re commuting, on your lunch break, or in an air-conditioned meeting room, your skin is exposed. 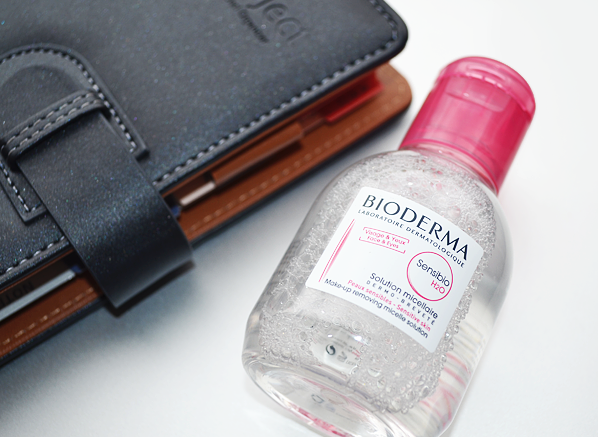 Perfect for ultra quick, on-the-go cleansing, the Bioderma Sensibio H2O Make-Up Removing Micelle Solution will make tidying up make-up mishaps and changing your lippy from day-to-night on the tube so simple. The non-rinse micellar water will gently remove make-up and impurities whilst instantly refreshing tired and dull skin. This 100ml size is a handbag essential, conveniently sized to fit in even the smallest of bags – removing the effects of city life from your skin will be easier than hailing a cab! 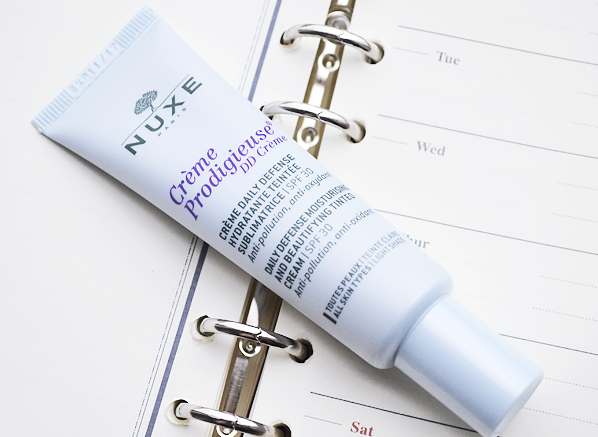 If coverage is on your mind as well as protection, then the Nuxe Creme Prodigieuse DD Cream is the perfect all-rounder for you. Combining lightweight coverage and powerful antioxidant care it’s a city girl’s best friend! Anti-pollution protection, SPF30 and a radiance-enhancing formula are all but few of its convenient traits – a product every busy city girl needs? I think so! Pollution is a big concern if you live in a cosmopolitan environment and thus giving your skin a deep cleanse at the end of the day is a necessity. 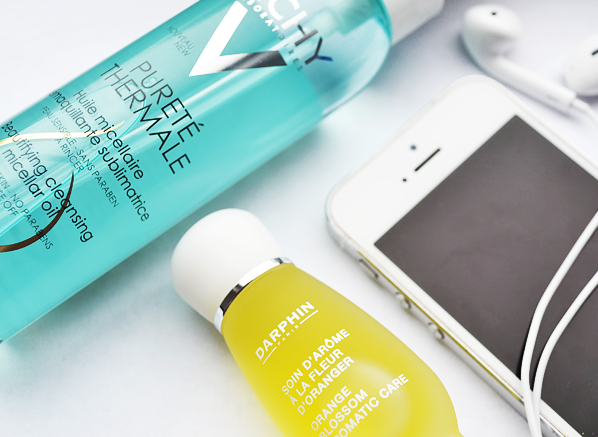 The new Vichy Purete Thermale cleansers have been designed specifically with targeting pollution in mind. The non-greasy Beautifying Cleansing Micellar Oil will break down and remove the dirt, make-up and daily build-up from your skin, and leave your skin soothed and hydrated. Preventing premature ageing is another area a city girl should consider in her skincare line-up as pollution can contribute to the beginnings of fine lines. Darphin’s Ideal Resource range with Orange Blossom Aromatic Care will continually exfoliate dull, tired city skin and will even the skin’s texture and polish away fine lines. Orange Blossom Aromatic Care will also be the treat your skin needs after a long day working your way through the city crowds, leaving your skin brighter, radiant and ready to take on another day. 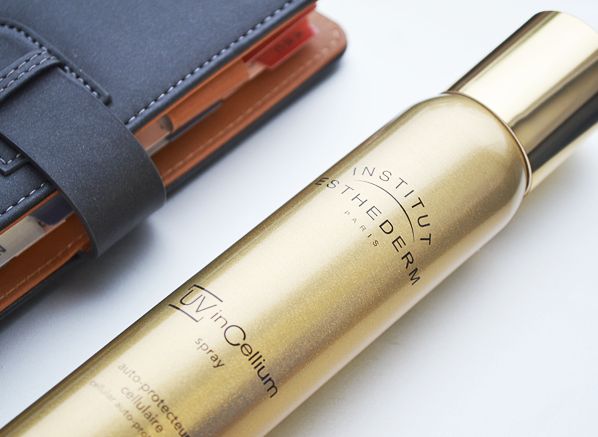 When you don’t have time to spend hours on your skincare, the Institut Esthederm UV InCellium Spray can give your skin UV and environmental protection in a single spritz, which is perfect when you’re in a rush. The spray strengthens your skin’s natural defences and protects it from the city’s harmful environment. You can also use it to refresh your skin and makeup throughout the day too – with skincare that’s this easy there’s no excuse for not protecting your skin. City skin will be a thing of the past and your skin will look beautiful for longer, regardless of your environment. I bought this product after hearing all the hype about micellar waters in beauty magazines. Lisa Eldridge had recommended this one in particular. I was really glad that escentuals stocked this as you can't seem to buy it in shops over here and I always think that EBay can be a bit dodgy for these kinds of things: who knows if it's genuine? I have very sensitive, eczema prone, spot prone skin (lucky me) so I have tried just about every skin care product on the planet looking for a solution. I like this one and I would recommend it to other sufferers of sensitive skin as it felt refreshing and did not irritate my skin. Having said that, I would not recommend using this as your ONLY cleansing product as if you are trying to remove a full face of makeup it will take you about 10 cotton wool pads until they are coming away clear! Instead I use it in days where I am wearing no makeup or only a little, or first thing in the morning when my skin is clear of makeup (very refreshing and helps to wake me up!) or after I have cleaned my face with a normal face wash, to get rid of any last traces. The product is fragrance free which is why I gave it a high fragrance rating in my review - as a sensitive skinned person I hate it when companies add unnecessary strong fragrances because they often cause irritation! I also like that this site stocks the mini size, as its good to try things out first before committing to a big bottle. It's also handy for travelling. This entry was posted on Tuesday, June 2nd, 2015 at 3:24 pm and is filed under French Pharmacy, Skincare, Sun and Tanning. You can follow any responses to this entry through the RSS 2.0 feed. You can skip to the end and leave a response. Pinging is currently not allowed.